It wasn’t even a good thermostat. It was a mediocre one that served a single purpose: to allow me to set the temperature when I was out of town through a smartphone app. Mind you, it was a pretty bad app too. But for all its shortcomings the little thermostat worked continuously for more than 3 years. It recorded the temperature, turned on the heater at the right time to keep things comfy and made nice daily reports about the usage. It even saved me money on my gas bill. Then in December of 2018, as I was preparing to board a plane, I tried to order it to heat the house. We all try to be as green as possible, so I keep the house cold while I’m away and it takes quite a few hours to bring it up to a livable temperature. Only the app wasn’t responding. For hours all I got was a blank screen every time I opened it. Of course, I arrived to a cold house, but to my surprise the thermostat was still working on the last setting I left it on before traveling. It was clear that he device was still fine, but the cloud connection had been cut. The website of the producer was gone. In the following days I discovered a letter of apology from the company warning that they may have to shutdown due to financial difficulties. It had been sent a week before my trouble began. The letter had been sorted into Spam. But none of these elements change the simple fact that I bought a device that stopped working when the company that made it… just died. It wasn’t a service that the company stopped providing. It wasn’t that they chose to end support due to going out of business. The product I bought stopped functioning as expected due to how their producer operated. It is this small and seemingly meaningless event that should worry the Internet of Things (IoT) startup scene. As this happens to more and more people, it will cause a silent extinction. Well DUH! What did you expect? By this point in this article, everyone tech savvy is probably already feeling amused by this completely predictable series of events. Obviously investing in a device from a tech startup is risky and surely IoT devices are themselves an even bigger risk. Bear with me. A lot has been written about how insecure the Internet of Things is and how it’s leading us down a bad path. There’s even a successful twitter tag #internetofshit that details the failures and misguided nature of IoT projects. As I’m writing this the trending story on that topic is how ecobee thermostats left their users in the cold. But this article is about long-term effects. 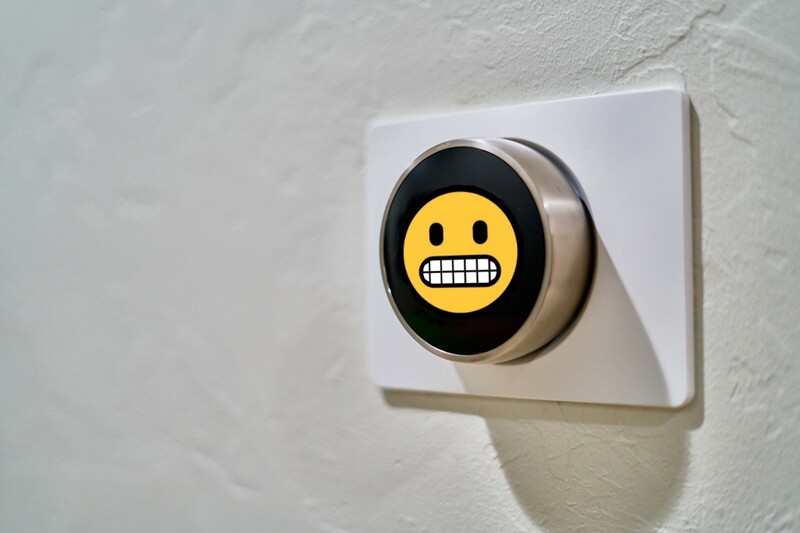 IoT devices are not going away, because having your thermometer, shoes and thermostat connected to the internet is a huge value proposition. The analytics and control they offer is invaluable to both users and companies. Paradoxically this is also where the problem is. You see, we’ve grown accustomed to the startup mode of innovation: iterate fast, fail often and learn from your mistakes. And that works well in software, but as minor annoyances and bricked devices start to pile up, users will become wary. It’s one thing to sign up for a free account online only to have the company behind it fail in a few years, it’s a completely different thing to wake up to a cold house every few years and having to urgently replace whatever IoT failed this time. On one hand it’s a problem with the business model. Even though the cloud part of IoT is cheap, some companies stop being able to afford that 1$/year/device to keep the things internetting. Only few companies dare try running ads, mostly because of privacy fears. Some resort to subscriptions but that limits growth, and if there’s one thing startups depend on, it’s fast growth. So what’s the solution? Startups can just eat the low costs, grow fast and sell the treasure hoard of value they’ve accumulated to a big company when they exit… right? Maybe. That’s great for the first wave but 90% of startups fail. That’s 90% of people in cold houses, whose self-lacing sneakers malfunction. IoT startups failures are leaving behind many users who’ve been burned harder than early adopters of other startups. When it’s time to get a replacement, do you think they’ll pick up the one from the plucky startup with neat features? Or will they pick the less feature packed device from a big player, just so they won’t have to suffer through another cold night? This problem is insidious. There won’t be a mass of voices saying “next time I’m buying a big brand”. It’ll just be many individual cases of picking something else. This will start as a slump but will manifest in the long term as a lack of innovation. Each new wave of IoT startups will be trusted less while big players will take over the space with bland offerings. This will not be a crash. It will just be give the whole industry the distinct aroma of sadness you can only get from finely crushed dreams. Like any good apocalyptic article, I’d like to list of a series of unlikely solutions. The first is the standard advocacy for open source. If an IoT device is based on open source components they can benefit from increased security and the possibility of continued development long after the initial creators no longer maintain it. Of course, this isn’t without a set of disadvantages, but other authors have talked about this better than I could. Another option would be to design the system to fail gracefully in the event it’s orphaned. The IoT device could continue to function on its own but one has to keep in mind that any IoT device left online without security updates might soon fall prey to botnets and other cyberspace predators. This is where open source would again be a tremendous boon. My last proposal is a little unorthodox in the sense that it makes an appeal to the higher powers. The big players know that the reduction of innovative startups isn’t a good thing. Less innovation means less options even for them. That’s why the tech giants can create a garden in which IoT startups can flourish. The cloud hosts could provide middlewares that are run and maintained by the large hosting company. If IoT communication and security are provided by the cloud host instead of the startup we’re already in better territory than we were before. The caveat is that this idea implies creating standards and that’s never easy. Amazon and Google have taken steps in this direction with their smarthome initiatives so there is hope. Although some may argue that depending on a bigger fish is also dangerous. What do you think? Even if you’re in the bah-humbug camp of IoT I’d like to read your constructive opinions. Tweet me or comment on medium. Senior researcher and strategist specialized in artificial intelligence and blockchain but working with all innovative technologies.